Book your Asian Culinary Passport! Do you want to become an Asian Cuisine expert? 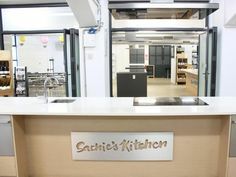 The fastest and most cost-effective way to do that is to get a “Sachie’s Kitchen Asian Passport”, which includes 4 cooking classes from 4 Asian countries famous for their different flavours – your choice of classes. Each class is approximately 2.5-3hrs and includes 3 recipes each. This package includes your very own Passport complete with custom stamps and a Sachie’s Kitchen Apron to put you in the travel mood and let those taste buds fly. 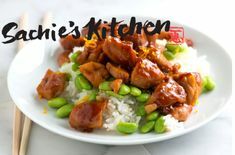 Be one of our 50,000 happy Sachie’s Kitchen cooks who have experienced our award-winning classes! See what the Press has said about us Here. They run for approximately 2.5-3hrs and are totally hands on with the creation of a full meal and 3 dishes (some of our other competitors only do 1 dish but we believe in sending you home full)! 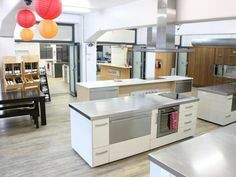 Our Asian chefs all speak fluent English and have quite a unique sense of humour – they will provide a demonstration and then it’s your turn to replicate the dishes while you are free to ask questions, tips and techniques. At the end of the each class you can relax and enjoy the dishes that you’ve just cooked around the dining table with those in the class. Asian beer, boutique NZ wine and soft drinks can be purchased on site. If you are not sure where to begin, we suggest starting with our Asian Passport to let your taste buds travel around Asia and from there you can explore each culture in more detail. Passport Price: $420 -> now $399! Did you know Japan now has more Michelin starred restaurants than any other country? More than just sushi, these 4 classes will give you all the recipes that you ever asked for and they are all-time favourites. Do you eat sushi every day? Do your kids love eating sushi and you’d love to know how to make it authentically? “Sushi” is possibly the most iconic dish in Japanese cuisine and is enjoyed globally – but many still struggle to make them authentically tasty. 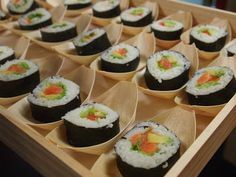 There are many kinds of sushi in Japan and this class with teach you four of the most popular styles. By the end of this class, you will be a Sushi Masterchef! “Okonomiyaki” originated in Osaka, but regional variations mean everybody in Japan now enjoys this delicious savoury pancake. It literally means grill or pan fry whatever the ingredients that you like, (kind of pizza in the western world) but we will be teaching an authentic Osaka recipe. We will also make Beef Tataki salad and one of Sachie’s family’s Agedashi Tofu recipes served with dashi broth. This is the MUST take class if you don’t know which one to take. Umami is the 5th element to describe taste: sweet, sour, salty, bitter and umami. The closest English translation is “savoury pleasant taste” i.e. sometimes when you taste a dish you just can’t stop eating because it is so delish! You will be a star among your family and friends once you master our special Teriyaki Chicken recipe. We will also make “Katsu” – deep fried prawns and veges with wasabi mayonnaise and bread crumbs and mouthwatering “goma (sesame seed)” dressing! “Soba and tempura” is the traditional combination that you see in Japanese restaurants and now the recipes can be yours. 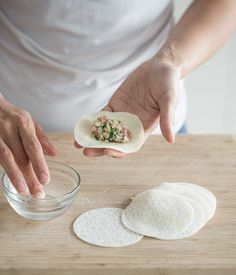 “Gyoza dumplings” are one of the most popular dishes in Japan and it is versatile in terms of ingredients and how you cook this. You’ll take home all the tips and tricks to make your life easier. Thai cuisine is a marriage of centuries-old Eastern and Western influences harmoniously combined into something uniquely ‘Thai’. A proper Thai meal should consist of a soup, a curry dish with condiments, a dip with accompanying fish and vegetables. There must be a harmony of tastes and textures within individual dishes and the entire meal and this principle is what we aim to teach. Many people love Thai curries nowadays and the green curry is the one of the popular! We will teach you how to create an authentic “Gaeng Kiaw Wan” curry based on coconut milk, fresh green chillies and herbs – that’s where the green colour comes from! We will also marinate chicken and wrap it with Pandan leaf “Gai Haw Bai Toey” for deep frying. The flavour of the leaf soaks into the chicken and creates an incredibly aromatic fragrance. Both dishes will be served with “Som Yam” Green Papaya Salad. Be ready to discover some of the secrets of Thailand! The ‘Tom Yum Goong’ – spicy soup is widely enjoyed in South East Asia and also in Western countries – now you can make this delicious soup at home. If you are not good with hot and spicy foods, we can adjust the amount of chilli to your preference. 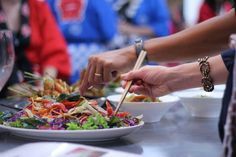 You will also learn how to make everybody’s favourite “Pad Thai Noodle” in the class as well as son-in-law egg recipe Sachie picked up on her research through Thailand. Why is it called that? The rather gruesome story goes that Thai mothers cook this dish for their soon-to-be son-in-laws as a warning about taking good care of their precious daughters, or else someone might find their own valuable bits deep-fried, sliced and served up in a hot, spicy sauce. One word for Vietnamese food = ‘fresh’. Traditional Vietnamese cooking is simple, but never boring, and is greatly admired for using fresh ingredients, minimal use of oil, and reliance on herbs and vegetables. With the balance between fresh herbs and meats and a very selective use of spices to reach a fine taste, Vietnamese food is considered one of the healthiest cuisines in the world. Food in Vietnam is almost everything, if not everything. What did you eat? How was it? Where? How much did you pay? All these are common subjects of local conversations. These 3 dishes are on the MUST-try menu in Vietnam. Gỏi Cuốn – fresh spring rolls / summer rolls are one of the most well known dishes from Vietnam and people all over the world have begun to become aware of this delicacy matched with hot and tangy flavored dipping sauce. Kaffir Lime Grilled chicken (“Ga Nuoung la Chanh”) creates an absolutely tummy-grumbling smell from oven while we wrap Vietnamese pagoda fried rice in lotus leaf for steaming. The Vietnamese traditional noodle soup “Pho” is the most popular street food in Vietnam. The restaurants and street vendors serve this noodle soup from morning till late night. We will teach you how to make the chicken noodle soup which has amazing flavours from different spices. And just for more you’ll be able to impress friends and family with Cha Ga pan fried fish and spring rolls! Freshness of food: Most meats are only briefly cooked. Vegetables are eaten fresh; if they are cooked, they are boiled or only briefly stir-fried. Presence of herbs and vegetables: Herbs and vegetables are essential to many Vietnamese dishes and are often abundantly used. Broths or soup-based dishes are very common. Presentation: The presentation of Vietnamese meals are usually very colourful and beautifully arranged. Just like cricket, Indians take their food very seriously. Most people would associate Indian food as being known for its spiciness. Throughout India, be it North India or South India, spices are used generously in food but did you know that every single spice used in Indian dishes carries some or the other nutritional as well as medicinal properties. Get your hands in our Taste of India classes! Chana Masala is one of the most popular Punjabi curry dishes in the Indian cuisine and mainly uses Chana (means Chickpea), Tomato, Coriander and a myriad of local spices. This dish is often served with fried bread called Poori / Puris – you will learn how to make this starting from scratch! We will also teach you how to make delicious Mughlai-style Tandoori Chicken that you can replicate at home easily for your friends and family to enjoy. One of the most well known curries in India and also in the Western world is Murgh Makhani – known as “Butter Chicken” There are many varieties of recipes but we will teach you a traditional home recipe descended from Deepika’s family in India. You will also learn how to make Punjabi Samosas and Indian traditional Tamarind Chutney in the class. What do you get when you combine Malay, Chinese and Indian influences on a plate? An addiction to Malaysian food. The amalgamation of the different cultures are brought together by spices and the people that are amazingly passionate about their country’s cuisine. The Korean culture is quite unique in its approach to food. Food seems to permeate every aspect of life. If you have watched a Korean drama or movie you will undoubtedly have noticed that in at least one scene someone is eating. There are even entire films and dramas based around Korean cuisine. For Koreans food is much more than something to fill the belly – it provides taste, medicine, and a connection to the country. Now before you check out the nearest Korean restaurant you can learn how to make it from scratch at home too! Every time you take a class to learn how to prepare a meal or purchase a gift voucher from Sachie’s Kitchen, we will feed one hungry child a meal. Our team came from humble beginnings, we’ve worked hard and we believe wholeheartedly in leaving the world a better place. Through our success and your support we can make a difference through our friends at Nourish the Children. Gift Vouchers are available and are a fantastic present for young and old. Great for Christmas or birthdays, these beautifully presented certificates are available for all cooking classes. Great Company, Great Food and Great Fun! Click here to purchase.